I have an interesting question for you. I am a former studio owner, now teaching again for others. Just yesterday the studio owner of one of the studios I teach at called and informed me that, due to financial reasons, she can no longer keep me on. I’m not an employee (she 1099’s me) but also I do not have a formal contract. Believe it or not, that’s not my question! I am the person who has taught all the comp pieces – I taught the classes and did the choreography. She intends on still bringing these dances to competition, has said she will give me full credit. But, I feel the choreography is mine and I don’t wish it used anymore. I am not there to see to it that the choreography is done correctly, etc., and don’t feel she should profit from this. Besides the obvious lesson learned for the future (! ), do you know who is right in this? Can she use this choreography because she paid me to teach the classes? Or does the choreography belong to me? Sorry you have to deal with this circumstance, but this is a good topic for discussion. My opinion is that a teacher is hired by the hour. 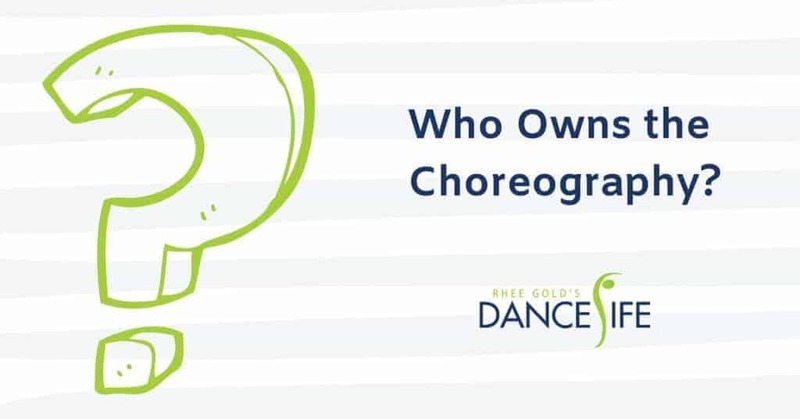 If in that hour it is verbally or contractually agreed that part of the job description includes choreography for a performance, recital or competition, then the school owns the right to utilize the choreography . . . unless otherwise specified in an initial agreement or contract. With that said, the choreographer (teacher) should always receive credit for her work . . . if she wants it :-).